made with Green Olive Paste, Coriander, Lemon Juice, Garlic and rapeseed oil. 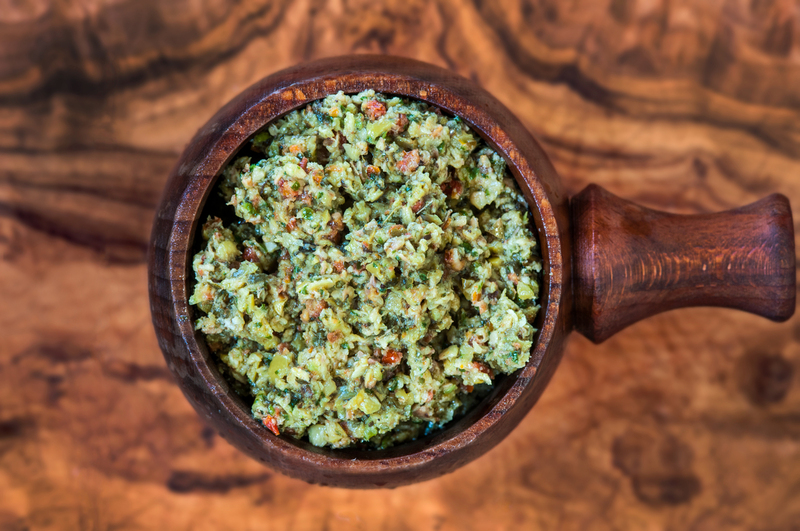 We crush green olives to make this olive pâté, it is strong in flavour and a lovely accompaniment to a cheese board or simply spread on toast. Sun-Dried Tomatoes (6%), Garlic (3%), Lemon Juice (2%).